Drivers of diesel cars could be paid to scrap or retrofit their vehicles under plans reportedly being mulled by Downing Street as the government looks to reduce emissions. The Telegraph said the government will on Friday publish a new air quality strategy which will include plans for a ‘targeted’ diesel scrappage scheme. 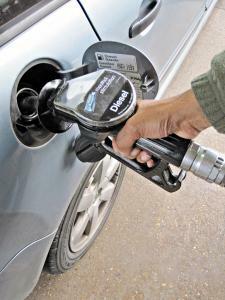 Under the last Labour government, drivers were incentivised – in the form of a cut to fuel duty – to switch from petrol cars to diesel ones as part of a strategy to reduce the UK’s carbon emissions. However, diesels are now widely recognised as a major source of air pollution with experts particularly concerned about the impact of diesel fuel on nitrogen oxide levels. Under the plans, motorists would receive compensation for scrapping their diesel cars completely. They could also be given money to modify highly polluting diesels, to reduce levels of nitrogen dioxide. The new strategy is set to be published ahead of the May 9 deadline imposed by a judge last week, after environmentalists won a legal challenge against the Department for Environment, Food and Rural Affairs, who had wanted to delay publication until after the general election. It is thought that the diesel scrappage scheme will only be eligible for diesel vehicles of a certain age that are located in areas where air pollution is at dangerous levels. In 2009 a similar scheme allowed a vehicle to be scrapped in return for a £2,000 discount on a new car. The retrofitting scheme, targeted at white vans and other highly polluting vehicles, would give drivers grants to adapt their exhausts to bring pollution levels down. The number of diesel vehicles on Britain’s roads has risen from 3.2 million in 2000 to more than 10 million today. The Telegraph said the Conservatives will blame Labour for giving “poor advice” by encouraging people to switch to diesel as part of a drive to slash carbon emissions. Other proposals thought to be outlined include “real driving emissions” vehicle tests in the wake of the Volkswagen emissions scandal. If you are considering taking part in the scheme or want to start offering your customers a greener range of vehicles, make sure you review your motor trade insurance before doing so.